New Zealand’s legal system, including our common law, increasingly recognises the value of Māori law. However, there has been no national collaborative discussion about if and how Māori law ought to be taught as part of New Zealand’s Bachelor of Laws (LLB) degree. This grant is for phase one of a longer term project to develop a proposed transformative programme of legal education that embraces the first laws of Aotearoa New Zealand: Māori law. Phase one of this project will support Aotearoa New Zealand’s Māori law academics to have the space and time to reflect deeply on why and how Māori law could become a foundational component of the law school curriculum. As a foundation for phase two of the project, phase one will produce a comprehensive issues paper. This will contain a literature review/bibliography of sources exploring Māori law, prefaced with a Māori-led discussion on the opportunities and challenges for embracing Māori law more holistically into the LLB degree. Jacinta Ruru (Raukawa, Ngāti Ranginui) is Professor of Law at the University of Otago, Co-Director of Ngā Pae o te Māramatanga New Zealand’s Centre of Māori Research Excellence, fellow of the Royal Society Te Apārangi, and recipient of the New Zealand’s Prime Minister’s Supreme Award for Excellence in Tertiary Teaching. 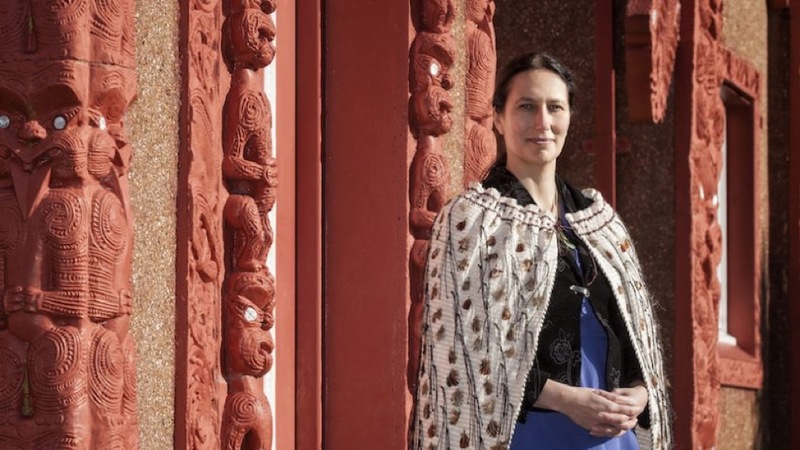 She is founding director of her innovative Te Īhaka: Building Māori Leaders in Law Programme at Otago. Carywn Jones (Ngāti Kahungunu and Te Aitanga-a-Māhaki) is a senior lecturer at Faculty of Law, Victoria University of Wellington and an Associate Investigator with Ngā Pae o te Māramatanga. He is the author of New Treaty, New Tradition – Reconciling New Zealand and Maori Law, Co-Editor of the Māori Law Review and maintains a blog, Ahi-kā-roa, on legal issues affecting Māori and other Indigenous peoples. Khylee Quince (Te Roroa/Ngāpuhi and Ngāti Porou) is Associate Head of School and Director of Māori and Pacific Advancement at AUT School of Law. She is Co-Director of AUT’s Centre for Indigenous Rights and Law and a Ngā Pae o te Māramatanga Principal Investigator.